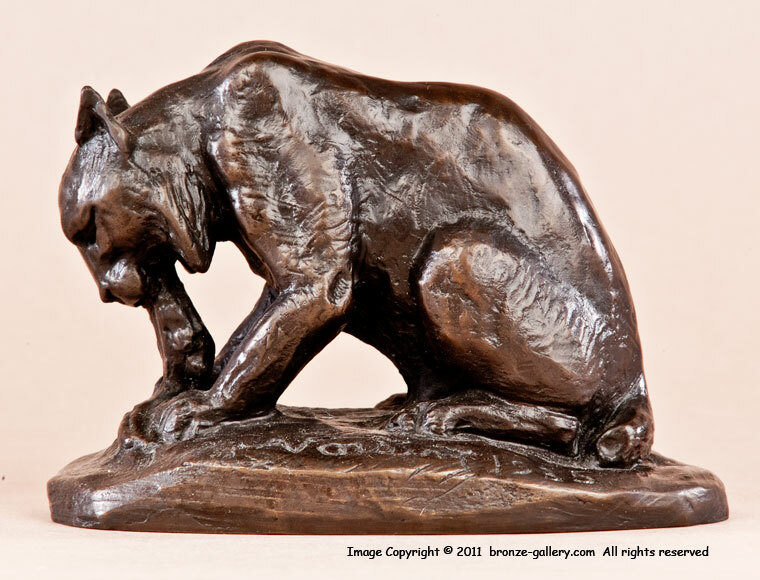 Adrien Voisin was a talented Western sculptor who is perhaps best known for his portraits of American Indians, but he also created small sculptures of American wild animals. 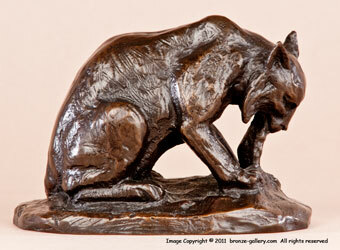 This bronze shows a Lynx or Bobcat eating his meal. Wild cats were not often seen in the wild and this small bronze captures the predator eating his prey. The bronze is signed A VOISIN and dated 1935 on the base, it is cast number 20 of only 36 made of this model. A fine study of a wild Lynx eating with a rich dark brown patina and sharp detail in this small edition.